Question solve for Sonali Bank officer 2018. 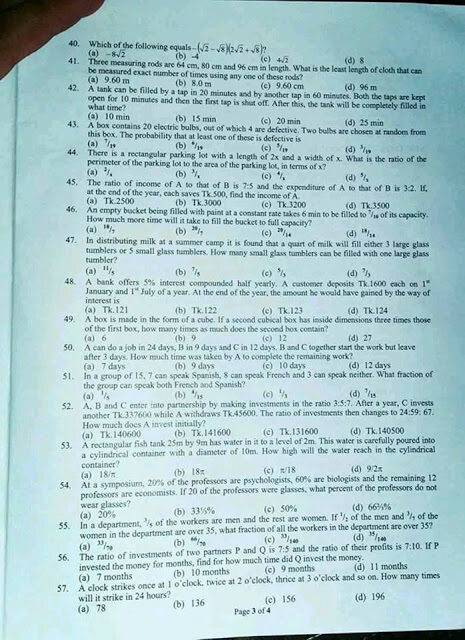 Sonali Bank officer mcq exam was held in 30th March Friday 2018. You will get full exam question and solution on our site. Keep visiting our site to get all types of question solution like Janata Bank Exam question or 37th BCS preliminary question solve. The full exam question of Sonali Bank officer post is given below. With all subjects step by step. Let’s check the full question solution. Also, take a look at Rupali Bank Previous Year Questions. Smallest positive number will be the largest negative number. Only 6 can evenly divide all the numbers. You can follow previous year question. For the preparation of govt job and govt bank job. By solving the previous year question of various ministry. Like ministry of education, the ministry of education question. Read recently taken bd govt ministry question solve.